The previous owner of our home left behind an antique cast iron griddle. 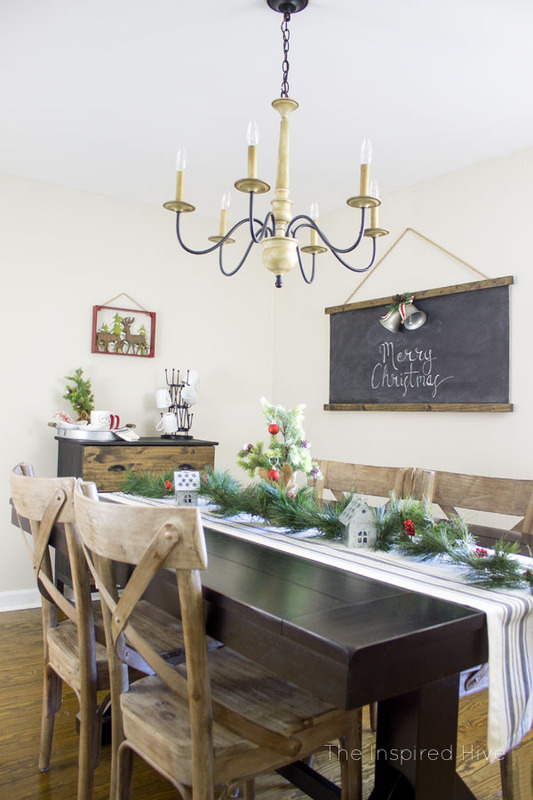 I love all things old and vintage, and it has a beautiful rust patina on it, so I haven't gotten rid of it. But I have struggled with what to do with it! For a while we used it as a mail tray by the back door, but when we redid the kitchen recently, I found a better mail solution. The tray sat empty until I pulled out my Christmas decor bins. Suddenly it hit me! 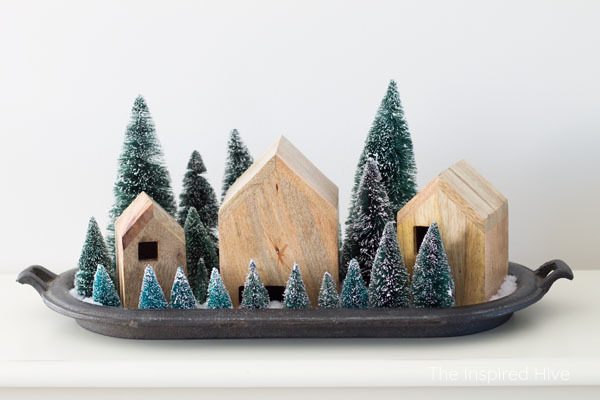 An antique cast iron tray would make a beautiful display for a small Christmas village! 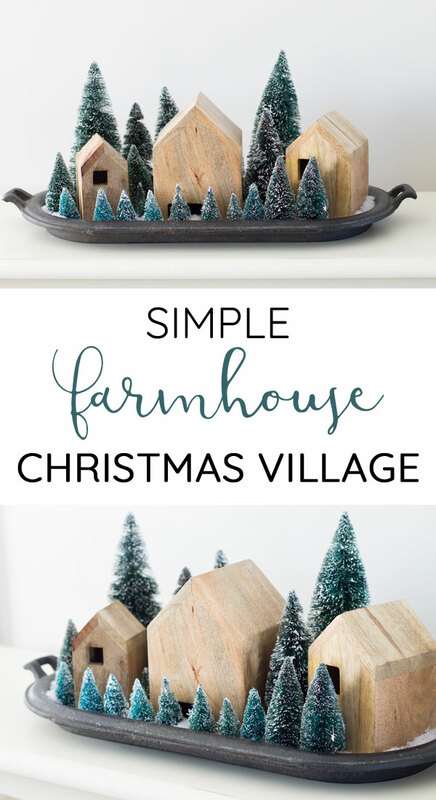 I've always wanted a little Christmas village, but I've never really found one that I love and I wanted to keep it small and simple. This solution is perfect and I wish I had thought of it sooner! 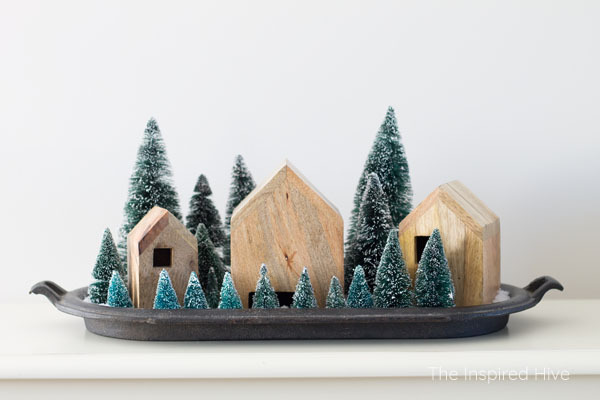 My mom bought Joanna Gaine's wooden nesting houses from her Hearth and Hand line last Christmas. They fit perfectly in this cast iron griddle. I poured fake snow into the bottom of the tray. Be careful! This can get messy! Just cut a small hole in the bag and squeeze out a little at a time. Then I filled in with some bottle brush trees I bought a few years ago. This is the set of trees that I have. 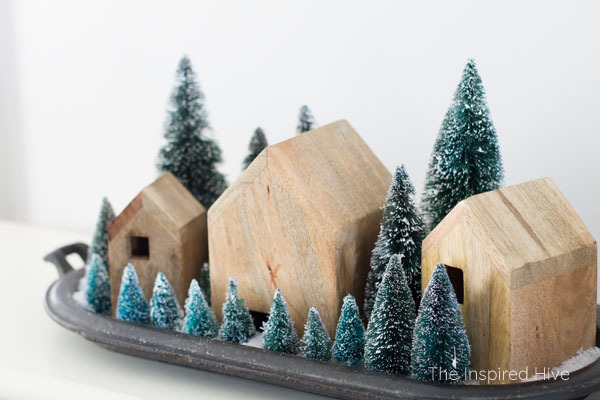 I love the simplicity of this little village and that it can be used all winter long!